presented by Fr. Donald Goergen, O.P., Ph.D. The retreat fee of $250 includes room, board, and all retreat sessions. Explore the towering mysticism of Pierre Teilhard de Chardin as presented by this gifted professor, author, and contemplative retreat leader. 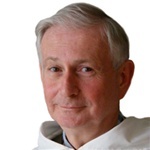 Donald Goergen, O.P., Ph.D., is a Dominican priest, teacher, lecturer, and author. He has published many articles and ten books in the areas of Christology and Christian Spirituality. His most recent book was “Fire of Love, Encountering the Holy Spirit”. He has taught, lectured and given retreats in Asia, Africa, and throughout North America. He was previously Provincial for the Dominican Friars of the Central Province as well as President of the Dominican Leadership Conference. He co-founded the Dominican Ashram, a contemplative Dominican community and ministry of prayer, in which he lived for nine years. He previously taught and currently teaches at the Aquinas Institute of Theology in St. Louis, MO. His doctorate is in systematic theology, his dissertation on Pierre Teilhard de Chardin, and his current interests include contemplative traditions, East and West, the evolution of consciousness, and the thought of Thomas Aquinas as a spiritual master. Among other honors awarded him, he is the recipient of the 2010 Yves Congar Award from Barry University in Miami.